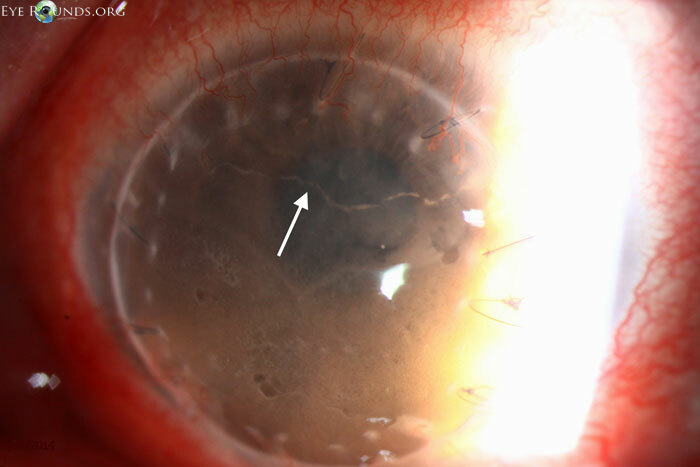 56-year-old female status post full-thickness corneal transplant presented to our clinic with signs of endothelial cell rejection. This can be seen clinically as a Khodadoust line (arrow), which represents white blood cells on the endothelium. 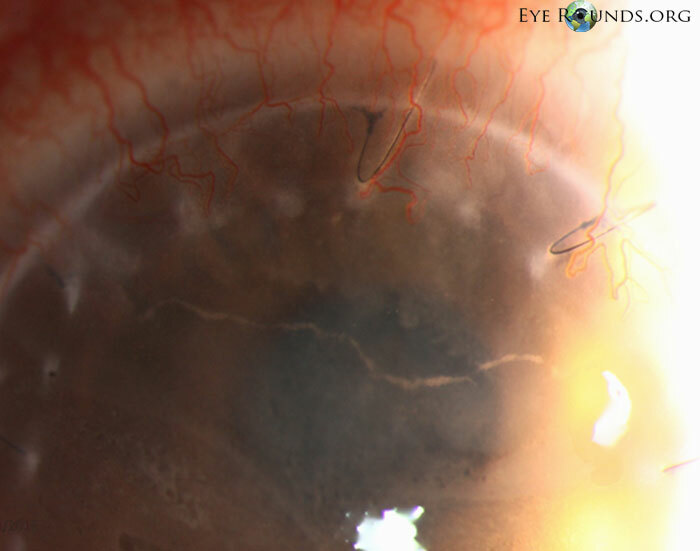 This "rejection line" usually begins in one area of the cornea and marches across the endothelium over time. 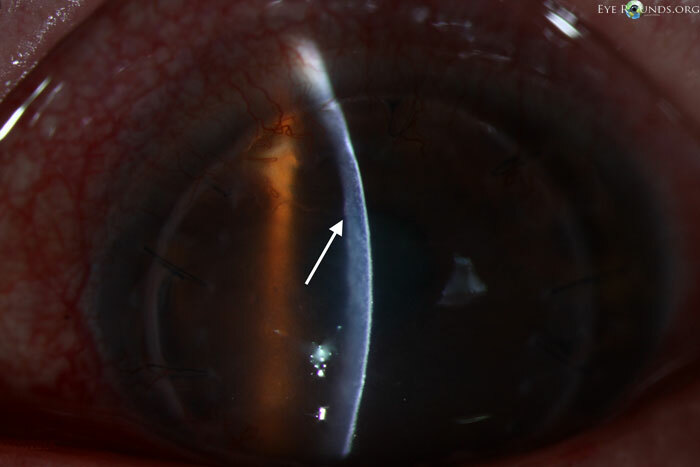 In this particular patient, the rejection line began inferonasally and has now migrated all the way to the superior cornea. 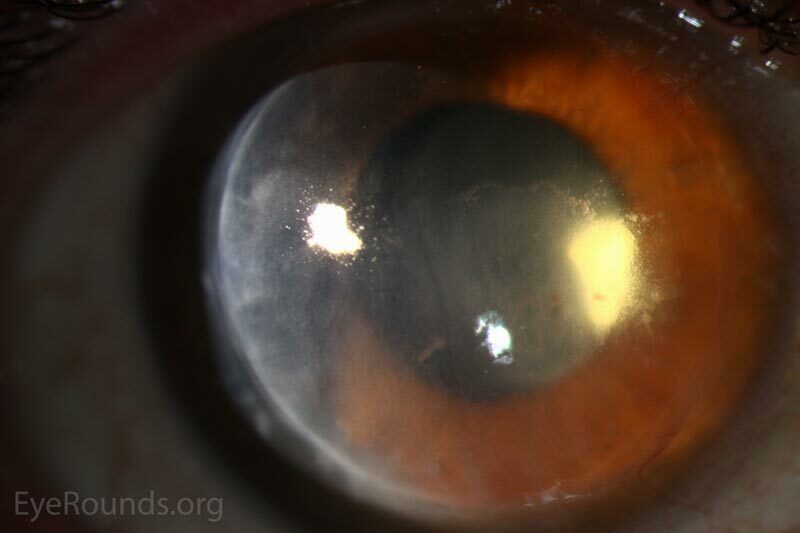 One can see that the cornea inferior to the line is much more edematous and hazy as compared with the cornea superior to the Khodadoust line, where the cornea is still relatively clear and the endothelium relatively unaffected. 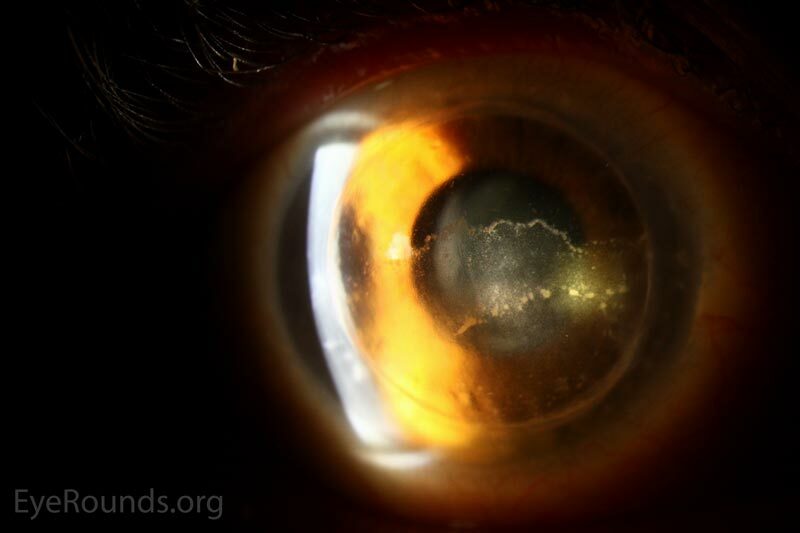 The slit beam is shown to illustrate that this line is indeed on the corneal endothelium.